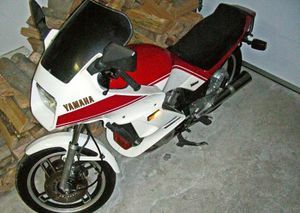 The Yamaha XZ550 is a motorcycle produced by Yamaha from 1982 to 1983. 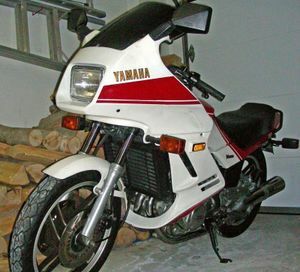 The Yamaha Vision (XZ550) was a motorcycle produced in 1982-83. It offered innovative technology in its motor and bold (too bold according to some) styling. Early production models were flawed with poor braking and carburetion glitches. 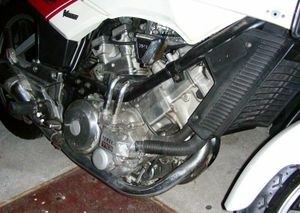 Three slightly different models were produced: the European model, with dual front braking discs, the 1982 US model (RJ), with a single disc and the 1983 US model (RK), with dual discs and a fairing. 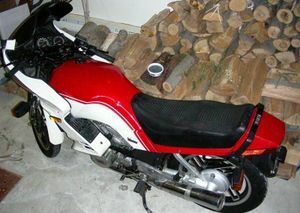 The models also use different sparkplugs and front forks.